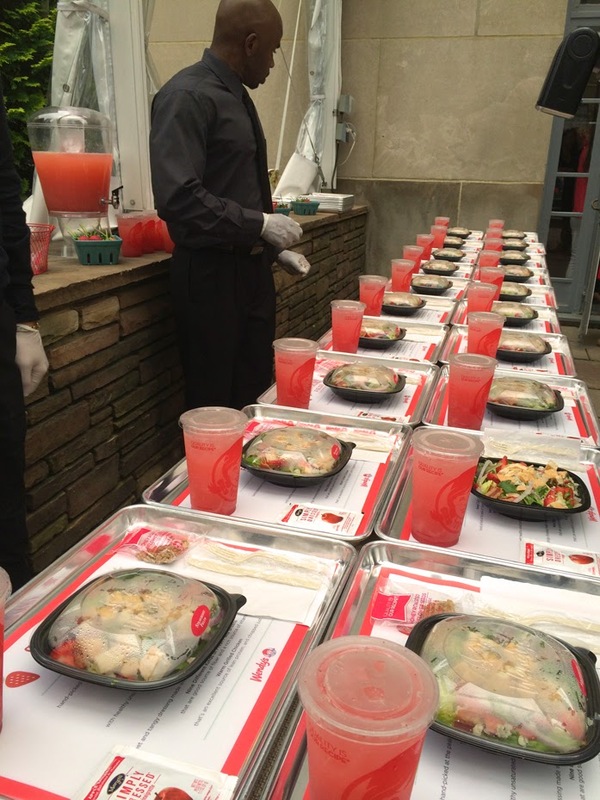 The other night, I went to the launch event for Wendy's new Strawberry Fields chicken salad and Molly Sims was the lovely host to debut them! It was a beautiful setting - at the loft rooftop garden at Rockefeller Center, perfect the springtime picnic theme. Guests were able to try the new salad (which was absolutely refreshing & delicious, by the way! ); it consisted of red onions, bacon, bleu cheese, an apple vinaigrette, strawberries, and of course, chicken. Vintage picnic games were set up - I even spotted Mancala, one of my favorite summer games I used to play with my cousin when I was younger. 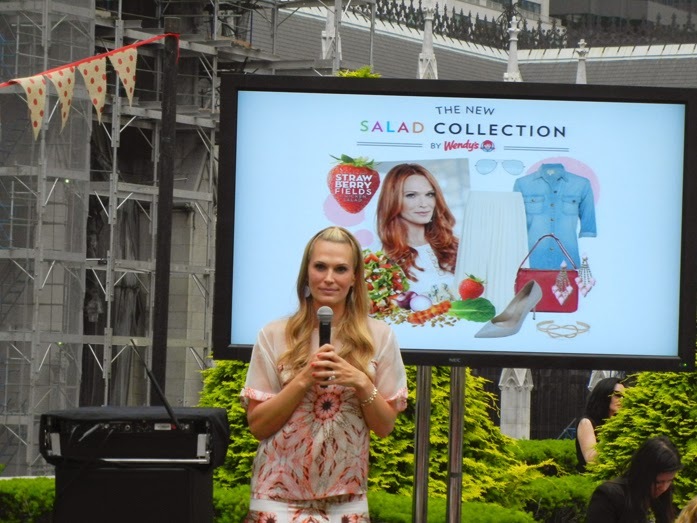 Molly Sims unveiled her latest style board, inspired by the new salad, spoke about style tips, and answered questions from the audience. She even mentioned her latest read, The Husband's Secret, which is now on my to-read list. After the presentation, I was able to meet her & she was incredibly sweet. Ha, she even bent down to my short height to take a photo. OMG DYING!!! i love her! lols i use to watch her on las vegas all the time.. what a cool event!!! Awesome event! That's so cool you got to meet Molly Sims! Ps: I want to keep in touch with you. Let me know. Follow for follow? it looks like a fun event and the salad looks delicious! so cool that you got to go to that. All those trays lined up looks good! So funny that she bent down to take the picture. Do you like to follow each other on fb and G+??? What an awesome event to attend! It really looked lovely! That salad looks amazing too, I would love to try one! That's such a lovely shot with Molly:) And I love salads like this. I eat at Wendy's sometimes so I'll give this a go when it comes out. Such a cool event! Molly Sims is stunning! Love the pic of the two of you. Hey this looks like it was a great event! How lucky of you to get to attend. And love the last pix. I will have to look in to that book! and the food always caught my eyes, tempting! 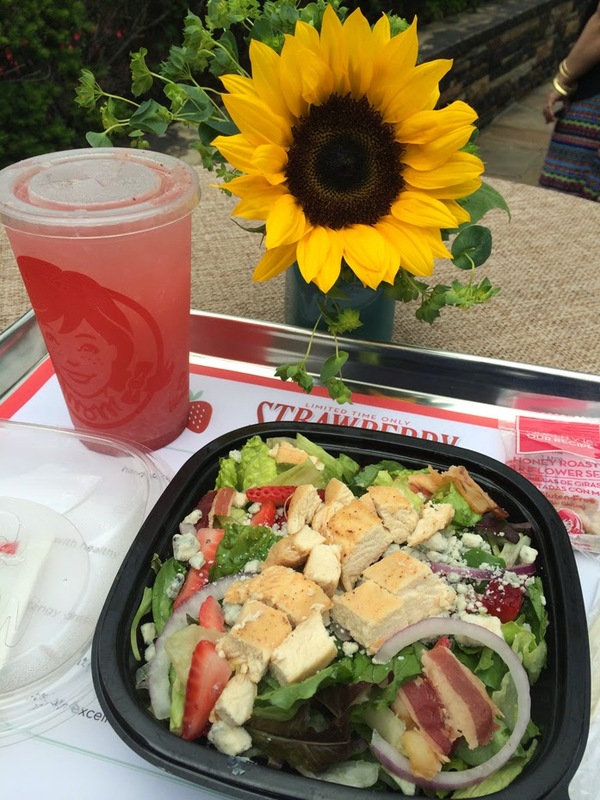 Strawberries are so good in salads, aren't they?! But I could do without the chicken and bacon...I'm a vegetarian!! Still, it would have been worthwhile just to meet Ms. Sims; cute photo of the two of you!! Its seems a ver glamorous event! Looks so fun! And that's a great photo of you with Molly! What a fun event. I miss NYC...sigh. This event sounds fabulous. The photo of you and Molly Sims is beautiful!! Very cool that you got to go to this event, looks like it was worth it :-) And look at how tall Molly is! I love Molly S's dress! Thats so exciting that you got to meet Molly, you both look so pretty! Have a great start to the weekend hun! LOVE Molly - that salad looks yum!! 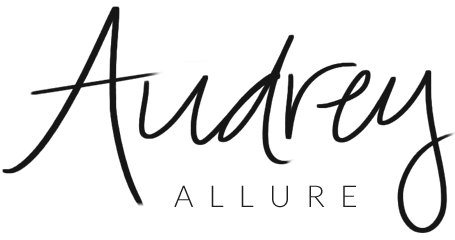 What a great event Audrey. I saw the photos and loved them from your Instagram. Thanks for sharing. Wow looks so fun...and tasty! How fun! The salad looks scrumptious. Enjoy your weekend! This event sounds just like me, strawberry salat is amazing, but do you have any idea how to make that drink, it looks so delicious! Not going to Wendy's was one of my regrets when I went to the USA! I'm not a fan of strawberries or fruits in my salad though. Fab event! And the food! Awww that's wonderful having to pose beside her....thanks for sharing the fun! Wow how cool, I love Molly Sims!